Confession time – I never saw anything past the first island of Myst yet I still feel immensely satisfied with the hours and hours I spent with the game as a kid. Just wandering around and pressing buttons and flipping switches until I miraculously managed to activate something was a ton of fun. Fast forward twenty-four years (wow, I’m old) and developer Cyan Worlds has brought its latest puzzle-based adventure game, Obduction, to PS4. Like magic, the feelings of satisfaction when I solve a puzzle and the thrill of exploration is just as fresh and fun and wonderful now as it was when I was younger. Of course, I’m a lot better at actually making progress these days even though the puzzles are just as mind bending in Obduction as they were in Myst and Riven. 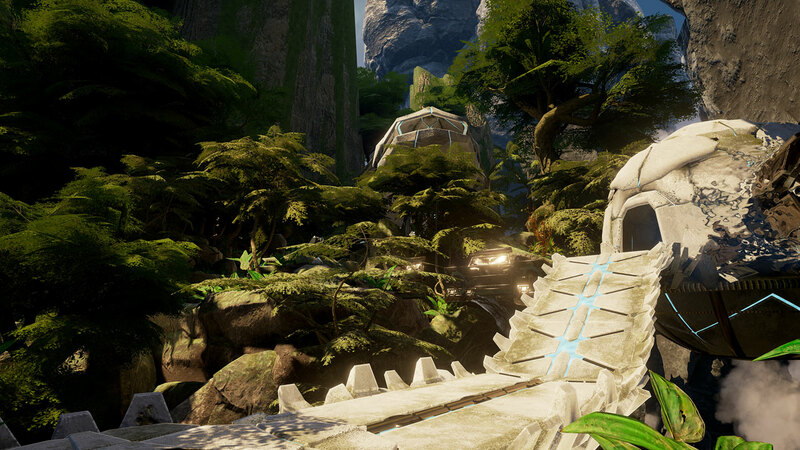 For all of the details, continue reading our full Obduction PS4 review. It is tempting to call Obduction (and retroactively also Myst, Riven, and the other Myst games) a walking simulator but it doesn’t quite fit my definition of the genre. Sure enough, you’re walking around and solving puzzles without any real threat, but the story isn’t as much of a focus here and the quality of the puzzles is much higher than a typical walking sim. Cyan Worlds makes unique puzzle / adventure games that truly stand on their own. 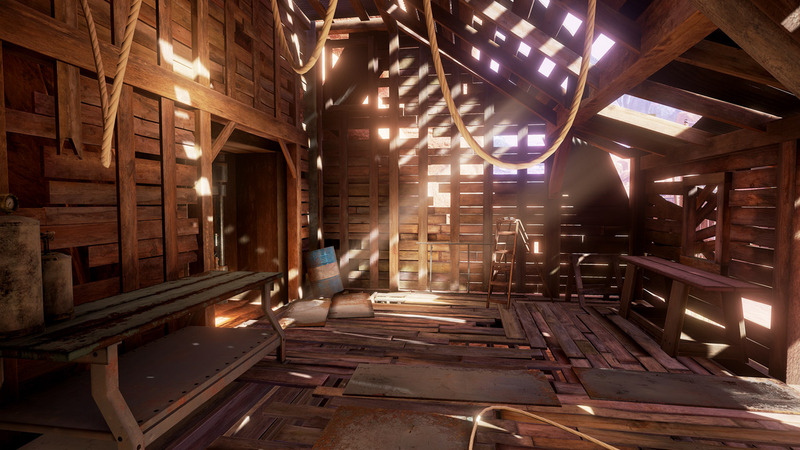 The story in Obduction is that you are mysteriously whisked away to an alien world in a flash of light. You aren’t the first person this has happened to, however, as the world you end up on not only has clear signs that other people have lived there, but there are also entire buildings and other things seemingly transported from Earth dotting the area as well. Just beyond a protective dome containing these familiar things, however, is an obviously alien landscape just out of reach. Figuring out what happened to the other people, why you were all transported there, and ultimately how to get home is your goal in Obduction. The alien world is absolutely fascinating and discovering the relationship of the humans that came before you with the various alien species around them is very cool. With that said, most of the human aspect of the story isn’t particularly memorable largely due to the way many of the puzzles in the game are constructed. What I mean is that you have to comb through every note you find and listen to every message and pay extremely close attention to everything in order to find clues and puzzle solutions. The human elements that are supposed to make you care ultimately just become background noise as you very mechanically scour the world for puzzle solutions. If Obduction were a walking simulator, this weakness in the storytelling would be a problem. But it isn’t a walking simulator. It’s a puzzle game, and a darn good one, too. As you explore the world in a first person perspective you’ll find all sorts of buttons and switches and interactive things scattered all over. Activating them in the proper order opens new doors and reveals new clues that allow you to explore even more and find even more puzzles. What’s the proper order? Well, you just sort of wander around and try everything until it works. Honestly, the gameplay rhythm and exploration is exactly like it was in Myst, which is a good thing. One thing I will say is that there seems to be a better mix here of practical puzzles with more obvious solutions alongside the crazy difficult obtuse ones. Looking at how something works mechanically, and then moving the proper parts, just makes sense here. Likewise, following piping from a generator to a gas pump is obvious. As is then following the conduits and wires to see what the now functional generator has activated. You can make a lot of progress, particularly early on, with really practical solutions and I like that. The game does, of course, also have a lot of other puzzles where the solutions are not so obvious. You have to read every scrap of paper, look at every diagram drawn on a wall, listen to every audio log, and pour through every book in order to find solutions for some puzzles. Pretty much everything has a purpose and is important, too, so you have to pay very close attention. Taking notes and making maps on a real scrap of paper is pretty much required here. And even when you do pay close attention to everything, it still might not make sense. That is part of why it is all so enjoyable, though. Figuring out a tough problem and making a bunch of progress is surprisingly thrilling. It is very much like The Witness in this way, but without all of the pretension. Also making things enjoyable is just how gorgeous Obduction looks. The world is very, very detailed and looks spectacular. There is a lot of variety to the areas you explore, too, and they all look great. The lighting is also excellent, which really makes everything pop. The game doesn’t run at a super stable framerate, however, and will frequently drop frames and stutter even when seemingly nothing is going on. This can be distracting, but I don’t consider it that big of a problem due to the type of game it is. 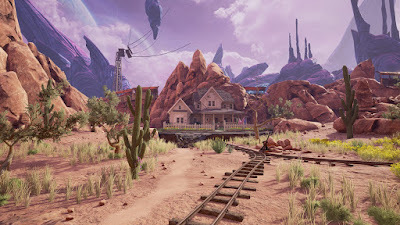 I had a great time with Obduction overall, but I know that because of its very specific gameplay style and types of puzzles, it isn’t going to be for everybody. Myst was a multi-million seller largely due to its novelty at the time but Obduction has a much harder road to climb. There is already a backlash (as misguided as it is) against walking sim-style games from many gamers and that coupled with the extreme difficulty of the puzzles here means Obduction’s appeal is limited. If you already love Cyan Worlds’ other games, though, Obduction is another great one. And if you’re a newcomer with an open mind and just want to try something new and solve some satisfying puzzles, Obduction is well worth a look. Buy it.